This week’s surgeries – the first surgeries of 2016! – are taking place on Friday 8th January at the Kinning Park Complex (9.30am) and Calton Heritage and Learning Centre (1pm). 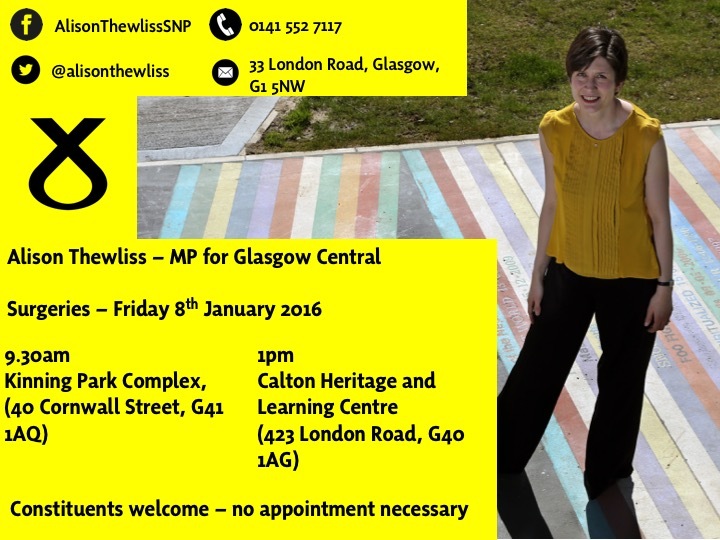 Constituents are welcome and there is no need to book an appointment in advance. If you cannot attend surgeries and require assistance, feel free to contact me and we can make alternative arrangements.